When a University professor (James Whittingham) is forced to produce a new photography book on his year off, he finds he’s no longer the hot-shot artist he once was. His workaholic wife (Bernadette Mullen) is nowhere to be found and his best friend is busy leading a family life. Alone and desperate, he befriends a young artist (Laura Abramsen) who turns his world upside down. Mid-life crisis ensues. 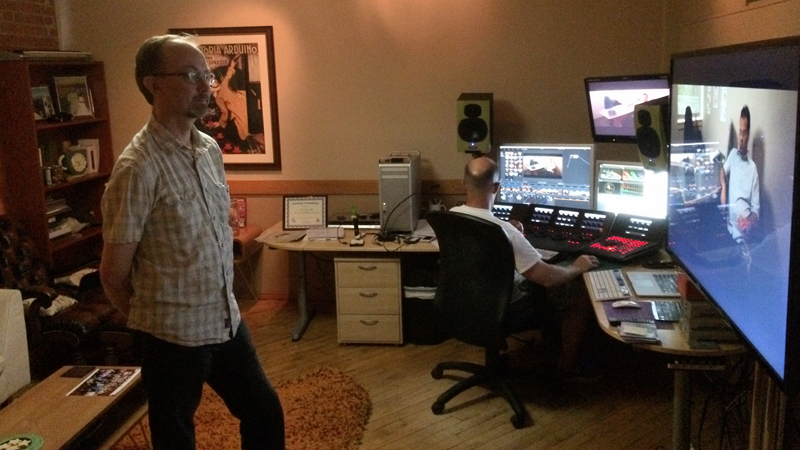 Director Brian Stockton (standing) working with Java Post Production colourist Jack Tunnicliffe (seated) on the movie The Sabbatical.